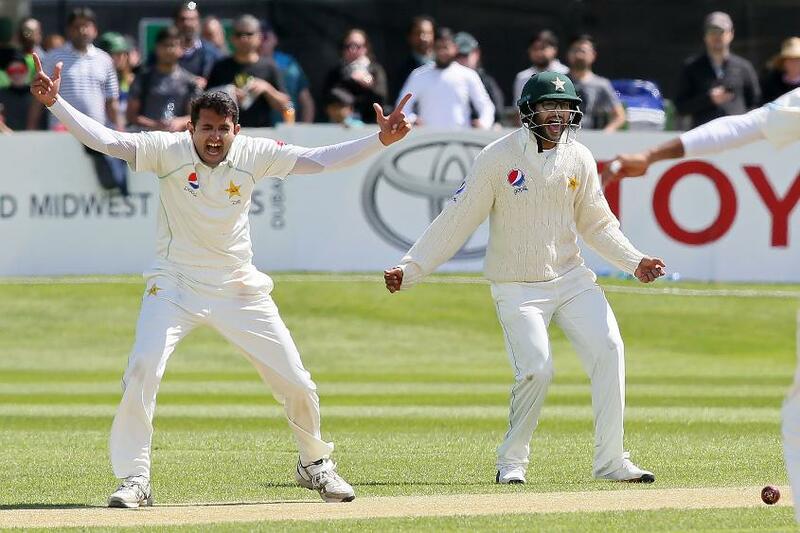 Mohammad Abbas took four as Ireland were bowled out for 130, before an unbroken opening stand gave the home side hope. There were always going to be setbacks. There’s a reason why all but two teams have lost their inaugural Test match, and a reason why the format has the name it does. Despite Ireland’s promise on the second day, which ended with honours even, Pakistan stretched ahead on the third day to give themselves a chance of forcing a finish within four. It was a harsh introduction to the realities of top-level cricket, and yet, despite being bowled out for 130 and asked to follow on, it wasn't all doom and gloom for Ireland; there was much to suggest that even though they may well lose their first Test, it might not be long until they secure their first win. There was the enterprise of Tim Murtagh in the morning, who claimed two wickets with the new ball only to be denied a historic five-wicket haul by Sarfraz Ahmed’s nine-down declaration. There was Kevin O’Brien’s innings of 40 as Ireland’s most experienced player showed he wouldn’t be overawed by the occasion. And there was Gary Wilson who made a heroic unbeaten 33 with a suspected broken elbow which dragged Ireland past three figures and somewhere close to the follow-on target, 150 behind Pakistan’s first innings score rather than the usual 200 since the first day was lost to rain. 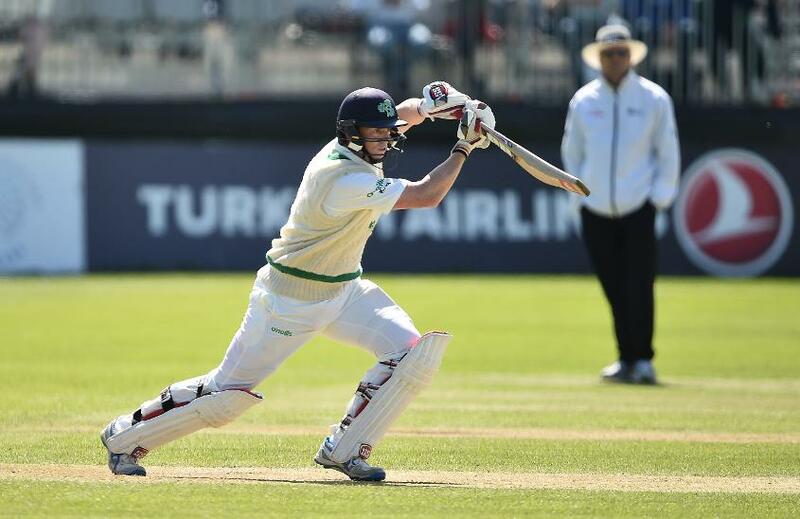 Most of all, having been asked to bat again, there was great fight shown by Ed Joyce and William Porterfield, who had by the close extended their association unbeaten to 64, Ireland’s highest of the day, to give them hopes of securing a draw. They were helped by a pair of drops early on, one each, and both off the bowling of Mohammad Amir, but thereafter they looked solid. Joyce in particular played beautifully, driving and cutting well, and looking every bit a player with almost 20,000 first class runs and 47 Test centuries. Those drops took Amir’s tally since his return to Test cricket to 15, more than any other Pakistani bowler, a statistic which continues to build his reputation as an unlucky bowler. He bowled excellently in the first innings too without much reward, finishing with just two wickets despite conceding less than a run an over and delivering the ball of the Test match so far, searing past the bat of William Porterfield and sending the off stump flying. Amir could perhaps take credit for some of Mohammad Abbas’ four first innings wickets. 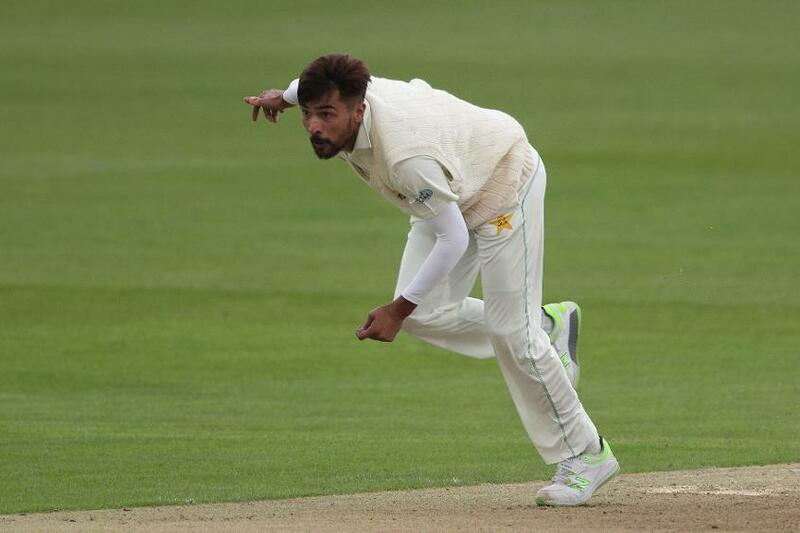 Pakistan’s other opening bowler went at over four an over but capitalised on the pressure built by the left-armer, while Shadab Khan took a maiden three-for to go with his maiden Test half-century made the previous day. When he took the final first innings wicket, it seemed an ignominious three-day finish might be on the cards. Instead, Ireland ended it with a chance of saving the game. Even if they don’t, there will still be plenty of positives for them to take from a performance full of promise.